Chicagoland cosplayers were out in full force, and it was frequently an amazing thing to see. If you live in Chicago, then there's a strong chance you might have attended the 5th annual Chicago Comic & Entertainment Expo, AKA C2E2, held this weekend. One of The Escapist's agents was on the ground to bear witness, and he came back with a metric ton of Cosplay photos guaranteed to blow your mind. For instance, you could skip ahead to page 15 for what amounts to the most awesome Transformer costume ever. That costume kind of exemplifies what we saw at C2E2, which is a huge array of very intricate costumes that, while not always as super slick, were absolutely, clearly the product of hours and hours of hard work. Color us deeply impressed. 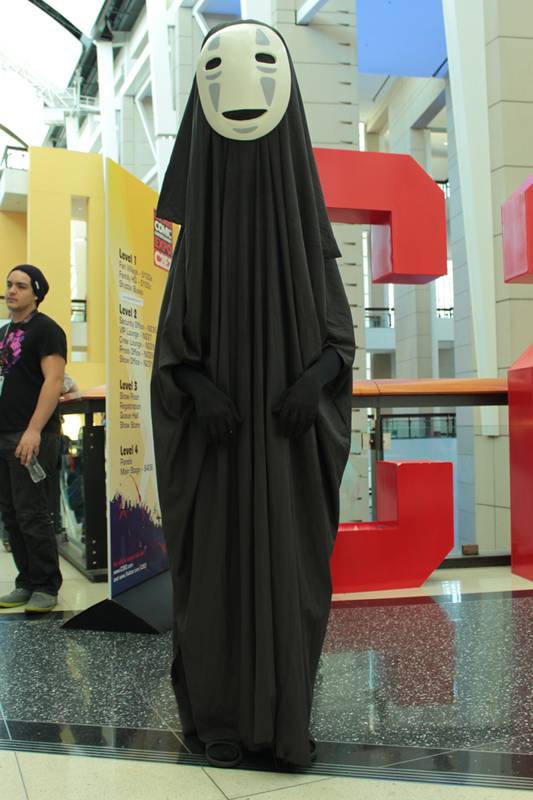 Anyway, we'll begin with this kind of mind-blowing take on No-Face from Spirited Away. In other news, it's been 13 years since Spirited Away came out you old, old people.